Using a small saucepan, warm milk and butter together until the butter melts. Leave this pan to cool. Process flour and salt together in a food processor, or any mix master with a steel blade. While this is processing, pour in the milk and butter mixture, then both eggs and process until blended. 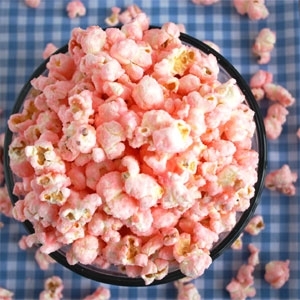 Leave batter to sit for 30 minutes, if you are pressed for time in the morning you can make the batter the night before and leave it in the fridge. Add some more milk if it has thickened. After 30 minutes of rest, add 1 Tbsp of vegetable oil (or oil) to a non-stick frying pan. Add two Tbsp of batter to the pan, quickly spread the batter to the edges of the pan. Make sure you have a plastic spatula ready, as the batter begins to brown on the edges (this will take 30 seconds to a minute), flip the crêpe with the spatula. Be careful not to burn the other side as it will cook very quickly. Remove to a plate and cover with wax paper. 7. Repeat as desired with remaining batter. 8. 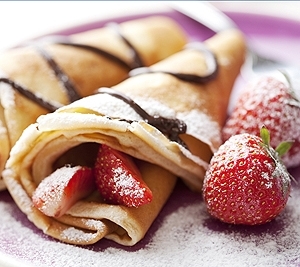 Eat or refrigerate, layering the crêpe with wax paper if it is in the fridge. 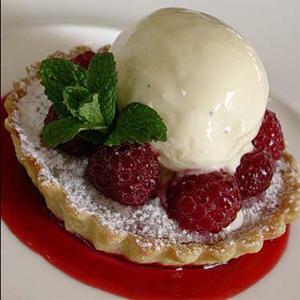 Warm raspberry and almond tart, lavender and honey ice cream, berry merlot coulis. 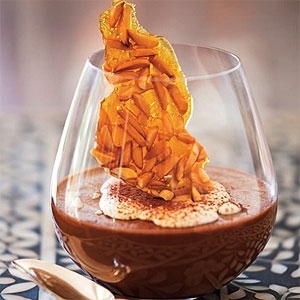 This creamy mousse with a crunchy touch is best eaten within a few hours of being made.